White House press secretary Sarah Sanders said Trump met for 90 minutes with Kim Yong Chol to discuss denuclearization and a second summit. Kim Yong Chol is a North Korean senior ruling party official and former intelligence chief. Sanders said the president looks forward to meeting with North Korean leader Kim Jong Un at a place to be announced at a later date. So far, no details have been publicly released about how denuclearization could occur. Secretary of State Mike Pompeo and the North Korean former spy chief met early Friday to resume efforts to arrange a second summit. 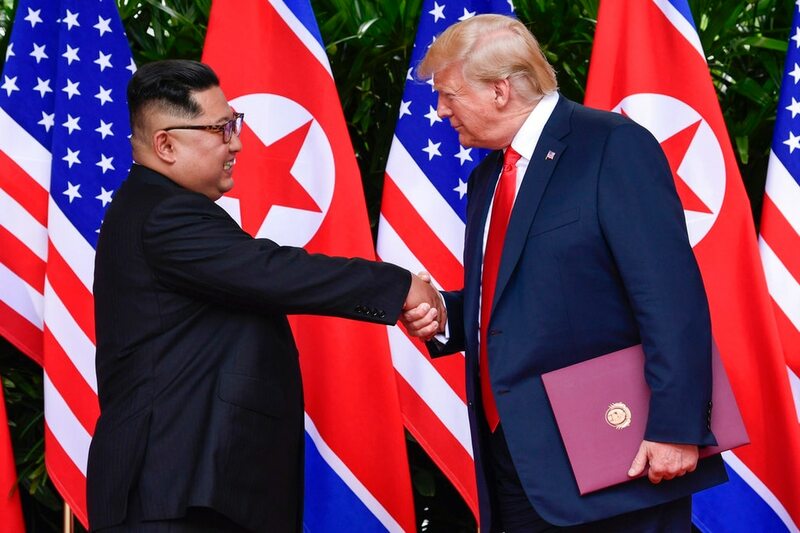 Trump has spoken several times of having a second summit early this year, and he’s exchanged multiple letters with Kim Jong Un despite little progress on the denuclearization agreement reached at their first meeting. Since the first one, several private analysts have published reports detailing continuing North Korean development of nuclear and missile technology. A planned meeting between Pompeo and the envoy, North Korea’s former spy chief, in New York last November was called off abruptly. U.S. officials said at the time that North Korea had canceled the session. The vice president named to the "Wolf Pack" the rogue states included in the Bush administration’s Axis of Evil, but added newcomers in Latin America.